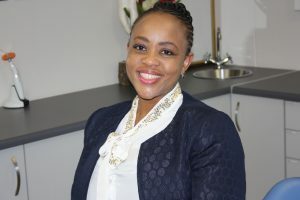 Dr Hlongwa believes Strongly in patient education, quality service delivery and long-term patient relationships. Smile with Pride is also offering other service like iLipo if you want to get rid of those centimetres around your waste, chin, thighs and arms. Bachelor of dental therapy degree in 1996, Bachelor of dental surgery and completed in 2001 at the Medical University of Southern Africa, HIV/ AIDS MANAGEMENT, Management Certificate in project management with Damelin 2006, project management at the University of the Witwatersrand P&DM 2007. Completed Master’s degree in Management at the University of the Witwatersrand P&DM 2012. Certificate in Botox and Fillers with Allergan (2012). Certificate in Botox and Fillers with Healthy aging Training Institute (2014).